Succesfully combines Sci-Fi with Fantasy. In this world there are no jet-liners or computers, but there are policemen who can travel across time, a Welsh republic, a great interest in all things literary - and a woman called Thursday Next. 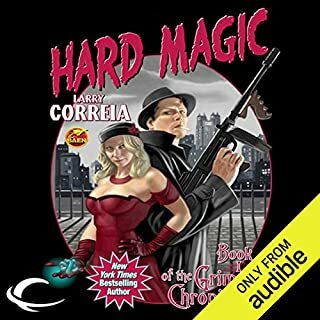 I thoroughly enjoyed this fast-paced, very funny & extremely well-read novel (wonderful voice acting, with multiple characters and even international accents) . Full to the brim with witty references to the classics of western literature. I can see why it was so highly recommended. 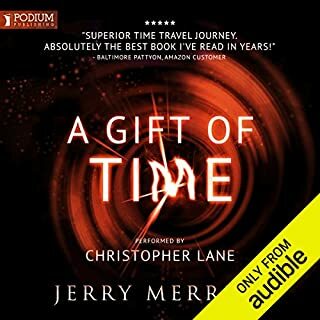 Revisited this book - this time as an audiobook. 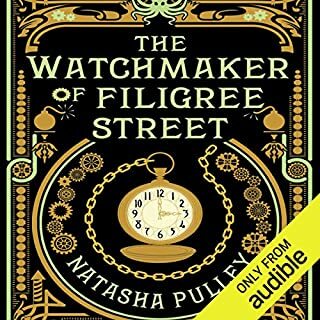 Thought the narrator did a great job - appreciated her passion & enthusiasm for the literature. I first read this many years ago, probably at the time the book was first published. I loved the story then and still enjoyed it now. 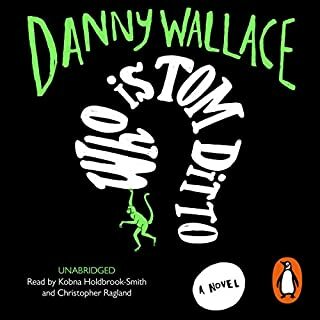 The humour is quirky, the ideas are fabulous, and the choice of a very 'proper' English-accented narrator was 'spot on' in my opinion. However, the narrator simply read too fast. Sadly, the speed at which Ms Kruger read was a distraction throughout, imposing herself on the story, rather than melting into the background. enjoyed the story. narrator has a pleasant voice but perhaps lacking in dynamics that would give the action scenes more life. very pleasant overall and a fun premise. The Eyre Affair is wildly entertaining. If you love literature, you'll find it full of surprise and delight. Especially entertaining if you love both Shakespeare and 19th Century English literature. Don't miss this one! 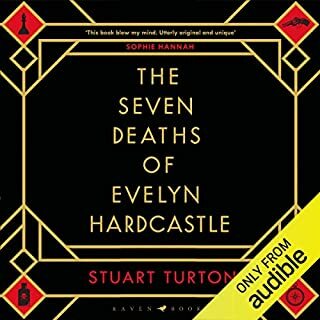 One of the best things about listening to this audiobook is knowing that this is just where the series gets started, and that I have even more to look forward to. Delightful hilarity and literally twisted with a sprinkling of wordy puns. "Well read" in a clear voice - my ears are tuned for the next volume. this has been my favorite book for more than a decade. i was ready to be disappointed by the audio version. it was fabulous. 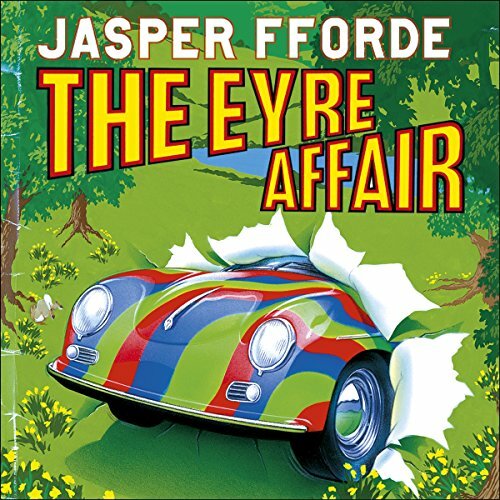 The Eyre Affair is a remarkably amusing book that is a testament to the intriguing writing of Jasper Fforde. His writings are akin to those of the literary genius of Terry Pratchett with crazy worlds, mixed up magic and insane parallel universes. The main character of 'The Eyre Affair' is one Thursday Next, a Literary Detective whose job is to police the literary world and prevent fake or bootleg copies of Literary works from entering the literature market. This book is set on a parallel version of Earth where the Crimean War is still being fought in 1985, cloning kits for animals like Thylacines and Dodos are available over the counter and Literature is the defining interest of the world's population. Thursday Next's life is sent into a dive by an encounter with the demonic Acheron Hades and is sent into a series of events that lead her to love, The Socialist Republic of Wales and the pages of Charlotte Brontë's Jane Eyre. 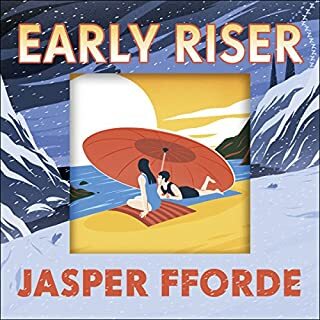 I Found the book a highly amusing read and believe that Jasper Fforde's writing is incredibly clever and engaging and it well deserves the epithets of "playfully irreverent", "delightfully daft", "whoppingly imaginative" and "a work of ... startling originality". 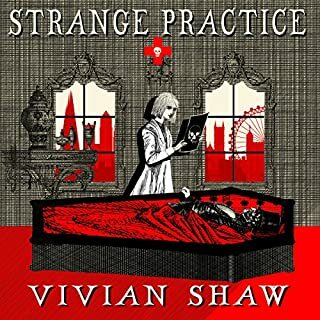 Well-written, enthralling, ludicrous, and very British from start to finish. Lots of fun. Splendid performance. Love the writing style and humour! Looking forward to read the next book by Fforde. I've listened to this a bunch of times. A few of the jokes don't translate because they are print based but the rest is great. And I love the performance. I could listen to her voice all day. I even like the musical intro! I really wanted to get into this story, but unfortunately the performance is too distracting for me. - Female voices often have a deeper tone than male voices, thus generating a large disparity between my perception and the book. This created numerous clashes for me... essentially whenever a male character was introduced. - When a change of location or character focus occurs there is little to distinguish between the two in terms of sound, generating a sense of confusion. While such performance style may be fine with simpler stories, the context of the book is already quite confronting in its amusing and warped perspective, it really needs a good performance that can work with it, as oppossed to against it. In all, i would love to see this narrative paired with a more appropriate performer. That's it for me, I'm out. I agree with other people’s assessment that this was a great idea with a lousy execution. I had a lot of difficulties following the plot, it felt all over the place to me; just as I was getting into it, it would veer off on another tangent. I’m disappointed because the premise really was interesting! I won’t be sticking with this series. I really like this book, having read it a number of years ago. It's a great entertaining and witty story. Gabrielle Kruger does a decent job of the voices of the characters, although she sometimes seems a bit flat in the descriptive sections. What really drags down the rating for me are faults on the files themselves. 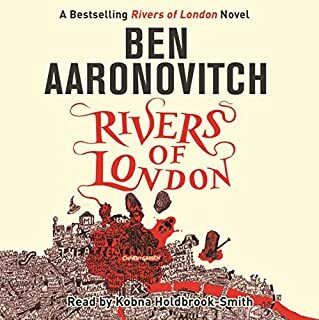 So far I'm about 1/3rd of the way through, and on almost every chapter, you get sections of maybe 10 seconds where the audio skips back & repeats, up to 5 times, then skips forwards over the next sentence or two, ruining the flow. This file NEEDS to be re-mastered. I've only tried the Enhanced format so far, so I'll be trying one of the other file formats to see if this is better. I'm also going to raise this with Customer Support, as it is a major flaw in an otherwise very good book. Would you listen to The Eyre Affair again? Why? 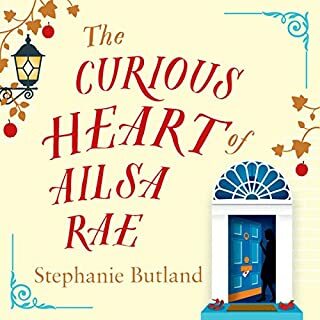 Such a good listen, funny, clever and full of engaging charecters The Eyre Affair was so good that when it finished I wanted to listen to it all over again to pick up the bits I might have missed first time round. Thursday Next has to be one of my favourite charecters of all times. She's clever, confident but oh so human. Love the fact that she hardly ever has a plan but just blunders along like the rest of us and her Swindon sounds far more interesting than the ours. What does Gabrielle Kruger bring to the story that you wouldn’t experience if you had only read the book? Gabrielle Krugers wonderful voice charecterisation really helped propel the story along. 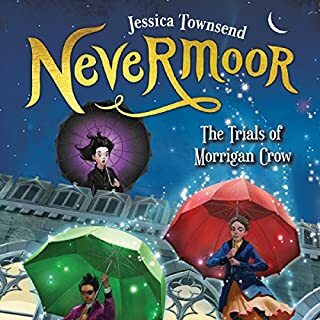 She's an excellent narrator and I hope she does the rest of the series. "Loved Jane Eyre but hated the ending? 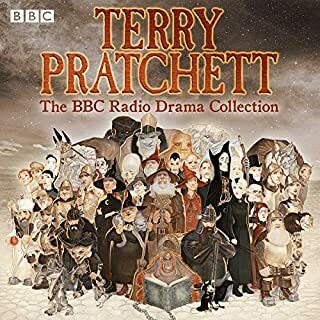 Well Thursday Next may be able to help with that"
Where does The Eyre Affair rank among all the audiobooks you’ve listened to so far? Quite a good story if you can follow in with the flat and fast narration. The narration was too fast and lacking in characterisation and emphasis. It was a little like someone reading a workshop manual in a mostly flat monotone. The diction was good but the lack of emphasis on events on characters meant that I just drifted away and missed important story moments. I would recommend, but not for everyone. 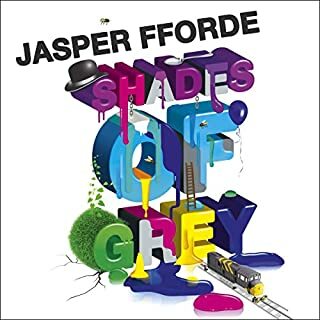 If you’ve listened to books by Jasper Fforde before, how does this one compare? I haven't read any other books. I will probably give the next one a try. 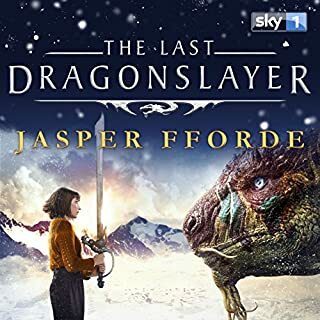 The concept of the book was fine, but even although it is a fantasy novel some of the story and the altered history were a bit hard to swallow. I couldn't reconcile how the chain of events would have played out to create this version of the last 150 years. Made me smile every time I listened. 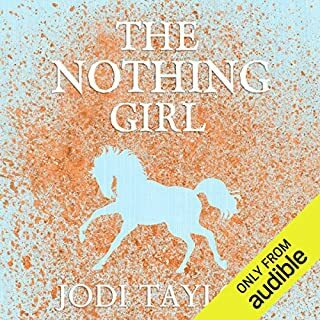 Amongst the top 5 Audible audiobooks I've listened to so far. The puns, the jokes, the character names, the little pieces of humour slipped in amongst the paragraphs. This is not an emotional book, not designed to tug at your heart strings. If you enjoy Douglas Adams or Terry Pratchett then this is for you. Fan of Agatha Raisin? This is for you. Enjoy science fiction? Crime novels? This is for you. I gave up on this after only a few chapters, because the narration is just appalling. She speaks too fast, like most amateur readers - nothing compared to proper acting - and reads with all the enthusiasm and personality of a bin liner. You can even hear her gulping as she runs out of oxygen in her race to the end of the chapter. What were they thinking? 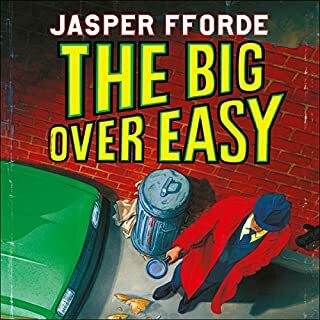 Jasper Fforde books are about fun and character. Gabrielle Kruger is apparently not. Fab story. Couple of repeated lines where the audible editor failed. Lots of fun. Off to get book two! I think it's been updated because the many complaints about audio quality are now unfounded. I think I previewed it a year ago and thought indeed the audio was bad. For that reason I've heard it after listening to the whole of the rest of the series, and it was worth it. 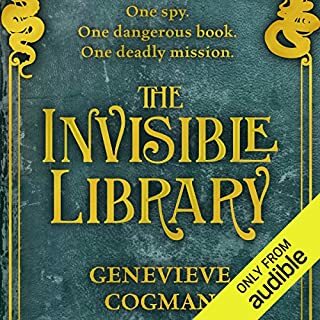 It's read well by Gabrielle - I agree it may be too fast for some and isn't really a listen while you're doing something else. It's funny and engaging, not the best, not the worst but worth it. 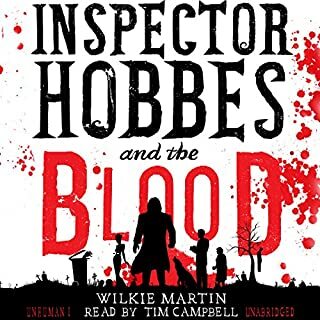 Very enjoyable to listen to and given there were a lot of male characters the narrator covered them brilliantly.